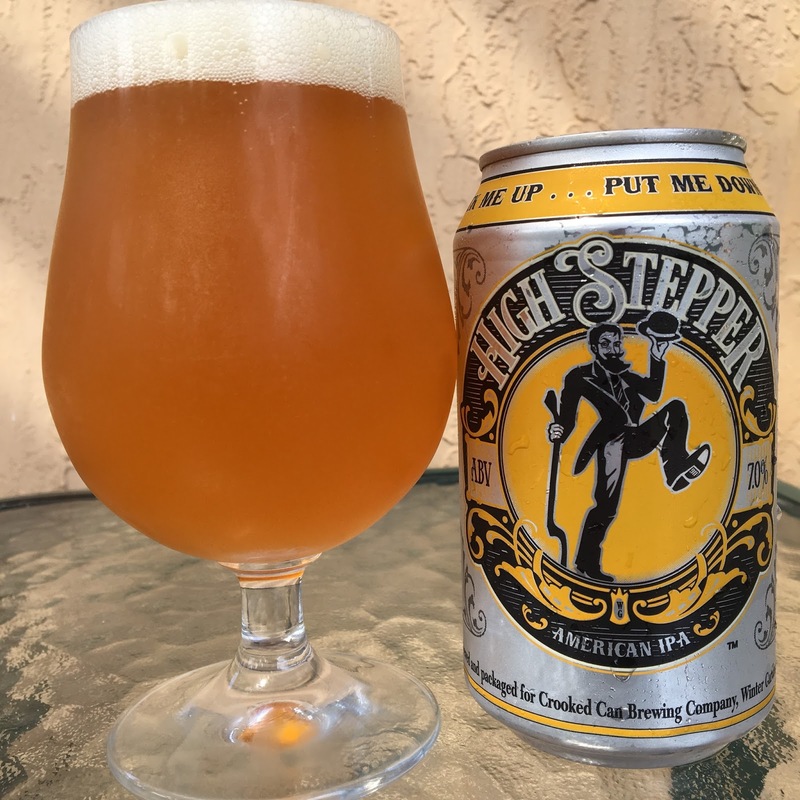 I checked out this can of Crooked Can's High Stepper American IPA a few months ago. I've been staring at the empty can and a written review since then, what a loser. 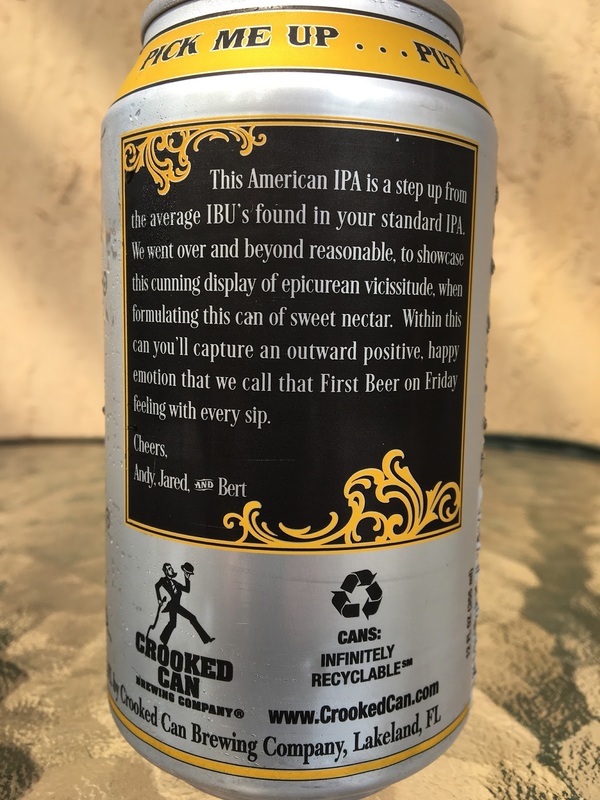 My recent trip to Grovetoberfest got me inspired to finally give this beer its due! The can says "PICK ME UP... PUT ME DOWN... PICK ME UP... PUT ME DOWN" with a story describing this beer as a "cunning display of epicurean vicissitude!" Marketing team must have had some internship under the Stone Brewing brand! 7.0 % alcohol. 90 IBU. Smells great, full of tropical orange and pineapple coupled with some spicy pine. Sweet tropical tangerines and lots of citrus meet some spicy pine and an excellent bitterness. Fresh, green, dank! Sweet and bitter play awesomely off each other, with bitterness doing the honors. Loved it!